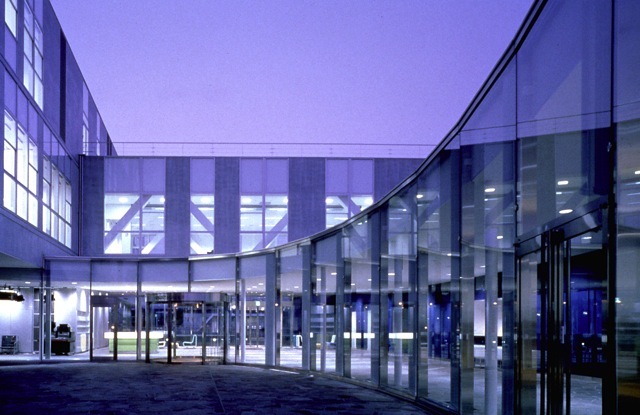 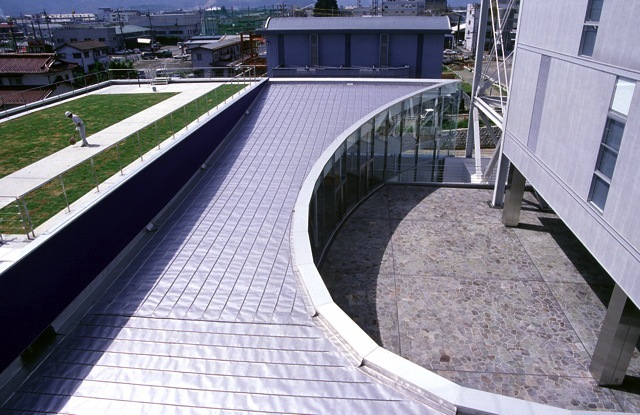 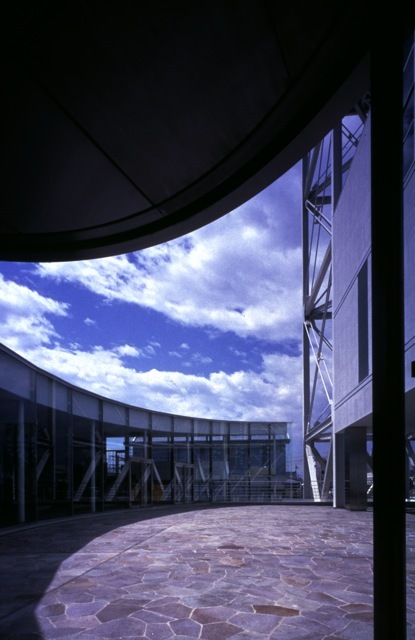 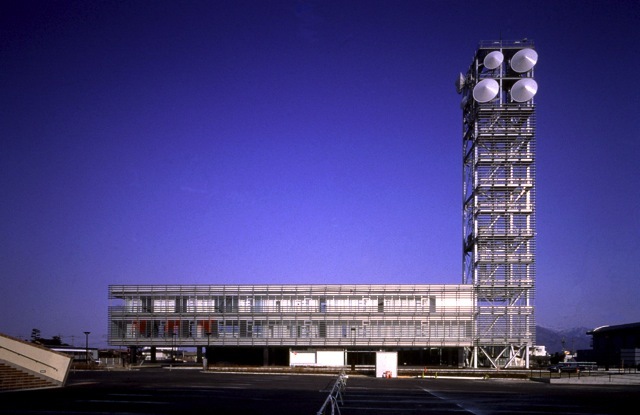 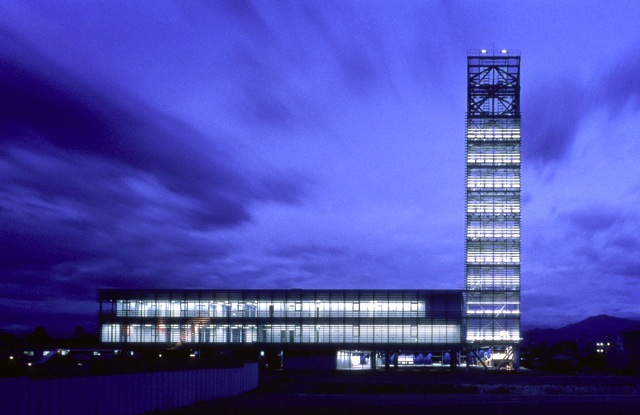 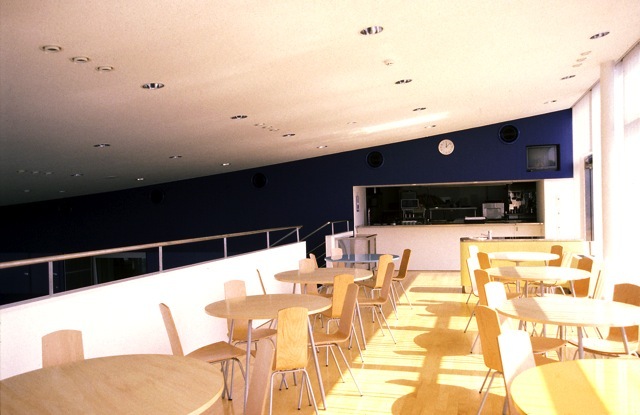 The NHK-Nagano Broadcasting Hall is the realization of the most excellent plan of the open design competition in 1995. 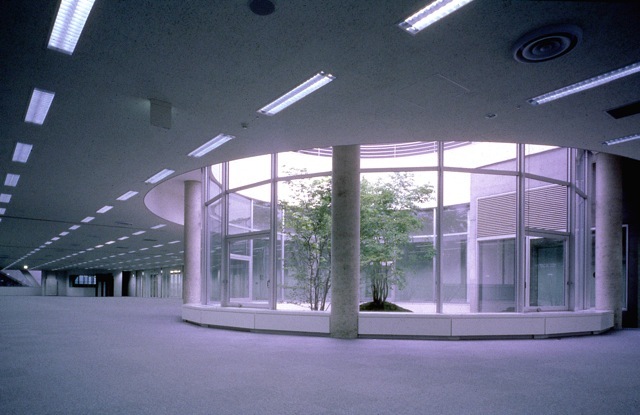 By making many important broadcast functional rooms into the underground which building coverage would be permitted, about 1000 m2 one room space was made. 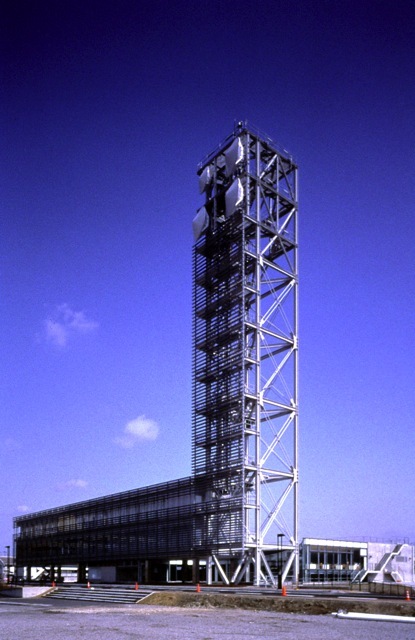 The high flexible ability is held for quick correspondences of emergency with clear view of vista, and possibility of changing apparatus with intently large space. 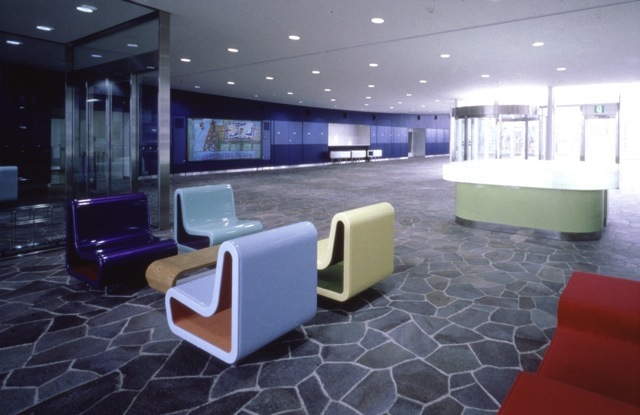 From a front park to the entrance lobby of the first floor, space continues continuously and a look is caught with the information wall applied blue at the end. 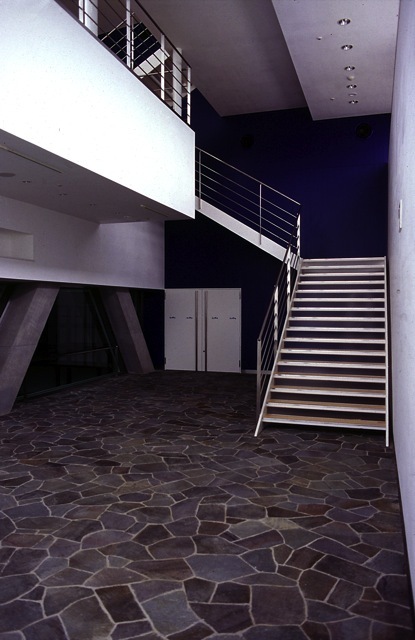 Inspection windows, such as a 9th page multi-monitor, a reference corner, and a television studio, are arranged to become the wall which carries out the presentation of the activity of a broadcasting station.If this wall is met and it gets down underground, there are a Hi-Vision theater where 3-dimensional scenography is also seen, and an inspection course which can keep seeing all of broadcast functional rooms, and it can inspect how broadcast is built.